Our cookbook buyer, Tracey, weighs in on her favorite cookbooks of 2014. Get tons more great cookbook (and other book) recommendations on the Powell's Books Blog. I don't follow a paleo diet, but I do think it is a delicious diet. Nom Nom is an AMAZING cookbook — brilliant layout, great photos, a massive amount of cooking tips, visual tutorials, and recipes that take just a slightly different look at the foods that we eat every day. Favorite recipe: Easy Cauliflower "Rice." Regular rice isn't the easiest thing for everyone in my family to eat, and this recipe can make a lovely base for so many other meals. Runner-up recipe: Bacon Topped Deviled Eggs. One-Hour Cheese knocked our collective socks off here at Powell's. For a few months, someone was always bringing in some fresh cheese they'd made the night before. The steps and processes are presented in photographs, which is über-helpful, as cheese gives you visual cues as to when it's done — or when it's overdone. The recipes are earmarked as easy, easier, and easiest. Favorite recipe: Ricotta (easiest). It's a treat to make this full-of-freshness cheese to include in pasta or in dessert dishes. One of my personal "signature" dishes is pot stickers, so you can imagine how snobby I am about dumpling recipes. Imagine my surprise in finding out there just may be pot sticker recipes that outshine my own. Dumplings are time consuming to make and mastering the folding techniques can be forbidding to the beginner. Author Wong provides instructions and photos outlining how to fold the various types of dumplings. There are a variety of pasta doughs to choose from. Favorite recipe: I don't know... too hard to choose! I've tried so many of these delicious sticker stuffings, so I give up. Open the book at random and point; it will be delicious. Runner-up recipe: Chicken, Leek and Bacon Bao. Because, bacon. But really — just open up the book and point, cook, and eat. Sometimes you just want to play a bit with preserving, not set up an entire manufacturing session in your kitchen. I know I've spent steaming-hot days preserving, only to find out months later that I really don't like what I've made. Marisa McClellan (Food in Jars) has broken down large recipes into a more manageable pint size. Besides taking less space and time, the smaller size means we can experiment with flavors — not that we need to experiment much, as McClellan's recipes are already dang fine. Favorite recipe: Pickled Eggplant with Mint, made by a friend of mine. Another nice thing about Preserving by the Pint: it makes it easy to share with friends and family without overwhelming them with a huge quart of food. Runner-up recipe: Salt Preserved Herbs. Every cook needs a general all-purpose cookbook. 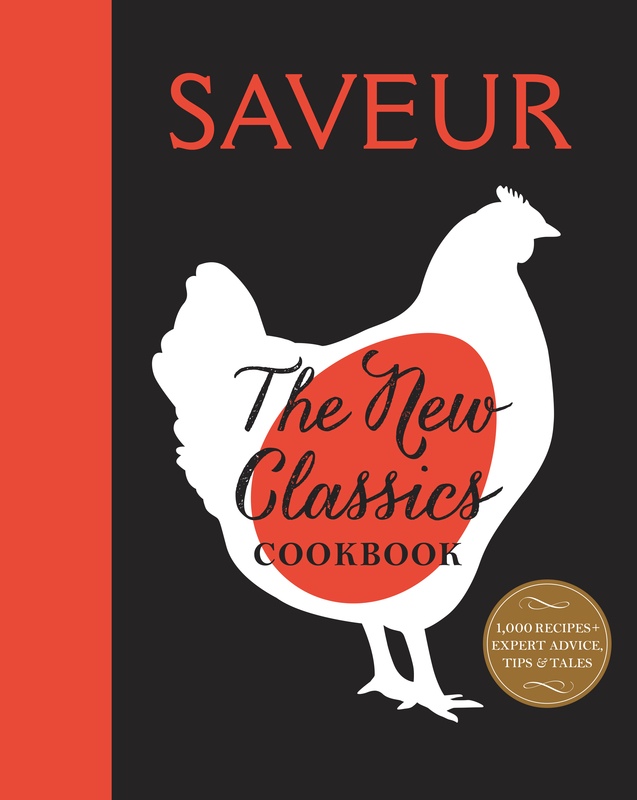 Saveur: The New Classics Cookbook is happily ensconced on my shelves next to the Mark Bittmans and all the Cook's Illustrated (and America's Test Kitchen, and Amanda Hesser, not to mention Joy of Cooking and good old Julia Child). Saveur puts an international spin on the theme. Need some tapas recipes? Saveur has them. Need a suggestion for what to do with that leftover ginger bulb? Plenty of recipes here. Maybe you just want a grilled cheese sandwich? Saveur's recipe calls for plenty of butter. With the wide range of recipes, this is a cookbook that a teenager could start their cooking library with and keep on using until they pass their spattered, annotated, and otherwise well-thumbed copy onto their grandchildren. Favorite recipe: Lemony Fried Cauliflower. Runner-up recipe: Pasta with Tomato-Beer Puttanesca Sauce — a basic puttanesca, tarted up a bit with beer and gherkins. Want more delicious cookbooks ideas? We've got 'em!